There is another Jessica’s interview, this time from CW Source. Read below! Adrianna and Gia have recently taken their relationship to the next level. What can you tell us about the future of their relationship? Well, Ade has definitely started questioning her sexuality and has found herself very connected to Gia. She has never really gone down this path before, but she’s going to just go there and announce it in a very dramatic way, which she has done with other personal events in the past. I feel very fortunate to be telling this story line, because I think it really is an important issue for kids today. I don’t have personal experience with it, but I’ve tried to stay as true to the issue as I can. Will we hear any more about Adrianna’s daughter? I think there’ll definitely be some mention of it because that’s a huge thing to happen to somebody. It’s something she’s been avoiding, pushing to the back of her mind because she’s kind of scared of the consequences. And music is going to be a great outlet for her, a healthy outlet, which she has Gia to thank for. You’re also pursuing a music career yourself, right? Yes, that’s why it’s been so great getting to perform in the show with the Glorious Steinems. The show actually bought two of my songs which they’re going to use in the upcoming episodes. They’re called Stamp of Love and Haven’t Been Drinking. The biggest influence from a young age is my mom — she used to play piano and I remember growing up and listening to her. I also like Kelly Clarkson, Pink, Rihanna, but I like incorporating the piano into it. Since I grew up with it, I just love the sound of piano. Hollywood News has a great interview with Jessica. She talks about kissing Gia (Rumer Willis) on 90210, her songs and more! Read below! Q: How is Adrianna’s plan of no drama going for her? Jessica Lowndes: [Laughs] No Drama Adrianna lasted for maybe half an episode. She’s somebody that has a very addictive personality, as you guys have seen in season one and now season two. She’s addicted to the highs and the lows and essentially the drama of it all. She’s also somebody that truly needs to experience things for herself. Somebody can’t just say, “No, you shouldn’t do that.” She has to truly go through it and either hit rock bottom or learn by her mistakes by truly experiencing it. That’s another aspect to her personality. She’s also somebody that if things were just sailing smoothly and okay, she gets very bored. Yeah, there’s definitely a lot more drama to be had with her but that doesn’t mean she isn’t happy. I know a lot of people ask, “When is she going to just find her happiness.” I think she is truly happy. I think that’s just a characteristic of who she is. Q: So you do write the music that we hear you sing? JL: I do. I do a mix of everything though. I have people that write for me as well and I have different producers that I do writing sessions with and we collaborate. The stuff that’s on the internet wasn’t even officially supposed to be out there. I did a demo CD when I was 16 up in Vancouver just with my best friend. It was just to get over a boy. Then the next thing I know, I was sitting next to this producer on a plane and happened to give him my demo CD just because he liked music and I had no idea what he did professionally. Then a few months later I get a call saying the show Moonlight for CBS wants to purchase one of my songs. So it’s kind of like this surreal like oh, okay, this is something I’ve always wanted to do. I wasn’t really prepared to put all my focus into it because I didn’t want to spread myself too thin, but now it’s kind of just happening organically. Like, I was hired originally as the singer of the school musical. I was only supposed to be in the first two or three episodes. Now that they’re incorporating more, it’s like I’ve really started pursuing it just this year. I’ve been back to recording and during hiatus I’m recording an album. I hope to have something out by the end of this year. Then in May, two of the songs that I have recorded will be on the show which is really, really exciting. 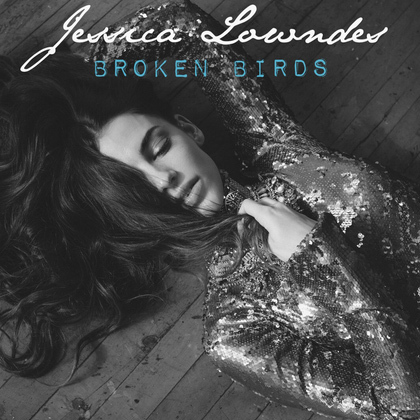 As you can see, Jessica Lowndes Network has a temporary layout up. I’ll make a new one really soon, so for now sorry for the inconvenience and please come back soon because I’ll try to have the new one up in 1 or 2 days! Here’s an interview with Jessica from Portrait Magazine. She talks about her 90210 character Adrianna and her new film “Altitude”. Read below! So you play Adrianna in the hit show “90210,” so what has that whole experience been like? It’s been an amazing experience, I’m still kind of pinching myself because we finished season two last week. We had 24 episodes in the first season and 22 in the second season, and it just feels so great. I’ve learnt so much as an actress and about myself as well because Adrianna is somebody who has a very addictive personality and she’s drifted to drama and the highs and lows and because of that she’s dealing with some pretty intense issues. And they are pressing issues in society that I have no personal experience with them so it’s definitely been challenging on many levels because it was first the drugs, and then the HIV scare, rehab, pregnancy and now she’s questioning her sexuality. So it’s definitely been challenging, but it’s exciting; it’s so fun to play somebody who’s so different from yourself. There are great issues that are going on in society and I feel very blessed to be able to given the responsibility to tell the story and to give a voice to these issues. The amounts of people who’ve been affected by the challenges have been incredible. Those who do feel so alone in those situations, whether its drugs or just the pressure from parents like my character has gone through. See I feel a tremendous amount of responsibility that I just like learning so much because I’ve done a lot of research for each and these incredible people, like there are even kids questioning their sexuality and that’s like something that is going on. And it’s the kind of show that actually touched base on that and it’s probably pretty terrifying, but I wouldn’t know from personal experience and it is different and far away from who I am. In a lot of ways I can relate to Adrianna, she’s just an extreme version, I’ve obviously haven’t gone through that, but I’m definitely a performer, I’m a singer and there’s going to be a lot more singing in season two, which is really exciting. So I definitely can relate to her on that level and I think that’s why when she goes through some of those horrible things I try to make her as likable, and honest and vulnerable as someone would be going though that. Added 250+ screencaps for the last night 90210 episode 2×16 – Clark Raving Mad. Enjoy! Here’s an iterview from Studio Five with Jessica! Watch it below! Thanks to Sabrina for the video! Here’s an interview from YoungHollywood. Jessica talks about her character Adrianna, the relationship with Gia (Rumer Willis) and more. The interview starts at the minute 2.34. Enjoy! Here’s the synopsis for the 90210’s episode 2×18 – Another Another Chance. Do not read below if you don’t want spoilers. NAOMI IS FORCED TO TESTIFY DURING HER SEXUAL HARASSMENT HEARING, SCOTT PATTERSON GUEST STARS — Naomi’s (AnnaLynne McCord) little white lie has become the talk of the school, and when she is forced to testify in front of the school board, she drops a bomb that no one saw coming. Annie (Shenae Grimes) is finally able to put her relationship with Jasper (Zach Sherman, who does not appear in the episode) behind her, but when she and Silver (Jessica Stroup) inadvertently drive past the scene of her hit-and-run, the guilt comes rushing back to haunt her. Dixon (Tristan Wilds) and Ivy’s (Gillian Zinser) fake-dating situation continues and the two make a decision that neither one anticipated. Adrianna (Jessica Lowndes) and Navid (Michael Steger) share a friendly conversation which doesn’t go over well with their significant others, Gia (guest star Rumer Willis) and Lila (guest star Amber Wallace). An argument between Gia and Adrianna results in Adrianna walking in on Gia and her ex-girlfriend. Liam receives a surprise visit from his father, Finn (guest star Scott Patterson, “Gilmore Girls”), just released from prison. Though Ivy has warned Ryan (Ryan Eggold) that her mother is trouble, he continues to date Laurel (guest star Kelly Lynch). Rob Estes and Lori Loughlin also star. Millicent Shelton directed the episode written by Scott Weinger (#218). Here’s a little quote from Jessica at “The Things They Say” on Hollywood.com! “My ultimate dream is musical theatre, maybe in London. That would be amazing.” 90210 star JESSICA LOWNDES is eyeing a career change. 90210 episode 2×15 – What’s Past is Prologue screencaps added to the gallery! Enjoy! There’s a new spoiler for 90210 from WWK. Do not read below if you don’t want spoilers!